Sleepless in Duwamps | Where's my backpack? Ahh, Seattle is a city I hold near and dear to my heart, in part due to its rather calamitous history. It got off to a rather wobbly start when the Denny Party first hit these shores in 1851. They were called the Denny Party because they stopped at Denny’s restaurants all along the Oregon Trail. Alright, that’s not entirely true; they never would have survived. They were led by a chap named Arthur Denny and when they first reached the Pacific Northwest it was raining, surprisingly enough. They scouted around and found lots of wide open space out on Alki Point in West Seattle so set up camp there, rather ambitiously naming their new settlement New York, perhaps because it worked so well on the other coast they thought they should give it a try over here. It was subsequently renamed New York Alki (Alki means ‘by and by’ or ‘eventually’ in the local Chinook jargon). 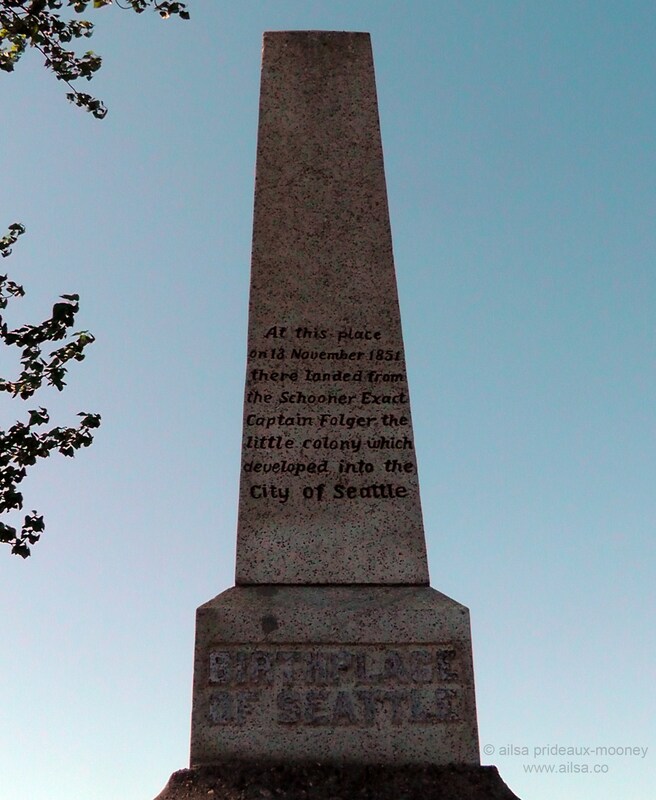 Whatever they called it, Alki was the original birthplace of Seattle. That first winter came and storms huffed and puffed and blew the town down. They rebuilt, repeatedly, but come springtime many of those early settlers decided to abandon Alki for the more enticing mudflats across Elliot Bay where Pioneer Square is today. They called their new town Duwamps in honour of the local Duwamish people and for a while, Duwamps and New York Alki went head to head in a battle for dominance in the area. Duwamps eventually reigned supreme and New York Alki was abandoned. Meanwhile, a man named Doctor David Swinson “Doc” Maynard arrived from Cleveland and unsurprisingly raised his eyebrows at the choice of name. He was no fool; he knew all too well that Duwamps would be a hard sell to folks back east looking for somewhere to settle. He convinced the good citizens of Duwamps to rename their settlement after the chief of the local Duwamish and Suquamish peoples. The chief’s name was pronounced “Se-Alth” but Seattle proved easier to say and the rest, as they say, was history. 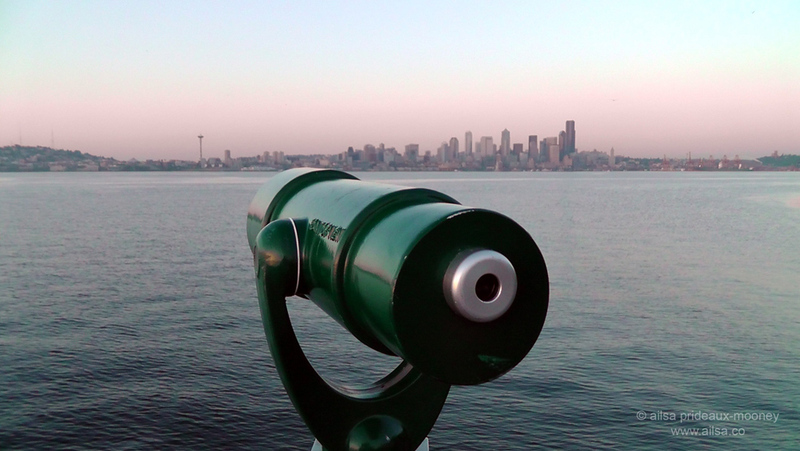 Out on Alki you can still see an echo of its past with a diminutive Statue of Liberty looming large in front of the iconic Space Needle across the bay. This entry was posted in Photography, Travel, Washington and tagged history, humor, photography, photos, pictures, travel, writing. Bookmark the permalink. Very interesting, Ailsa. Great photos, and I love your writing and use of humor. Very entertaining. I thought the same thing, pommepal; it sounds like a haven for mosquitoes! Every summer I look forward to visiting my youngest sister and her family in Seattle. Thanks for the history lesson! My! you certainly pick up the most interesting information wherever you go – and relay it in very entertaining manner! Makes me want to visit all the places you’ve written about. Ailsa, the intrepid traveller, has made a tourist out of me! Love your way of telling a story! I love to look at Seattle when I visit New York, especially when looking through the haze of Cleveland. Seattle is my fave city in the US, especially after reading Sons of the Profits and the Maynard bio, the ones you can get at the end of the underground tour. The sections on the founding of U Dub and the rivalry with Tacoma–and what happened when you flushed a toilet–are hilarious. I wish you had authored my history books in high school and college. I think I would have retained a lot more information if it had been presented in your humorous and insightful voice! Haha, I love it, that’s the highest compliment you could give me! I just visited Seattle two weeks ago, and missed this. Sigh!! Thanks for sharing. This is on my shortlist of places I want to visit. Interesting info and really cool shot, Ailsa. I haven’t been lucky enough to get to Seattle yet, but your stories really make it come alive as something more than a place to get an IT job or drink a great cup of coffee! Love your commentary, and you pictures. No surprise there! 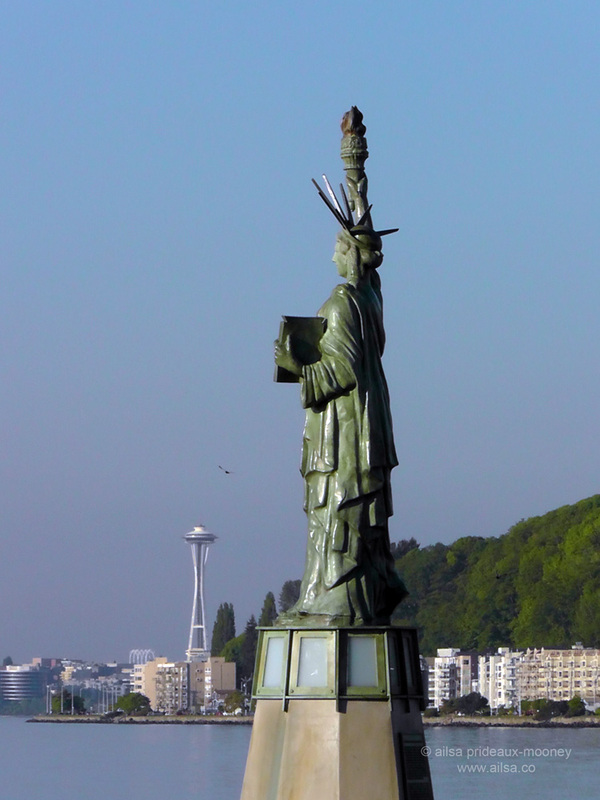 I never knew about this “other” Statue of Liberty! What fun! I love the Alki area! I have never seen the”other” Statue of Liberty! I’ll have to take a look next time. Great post. Very informative.